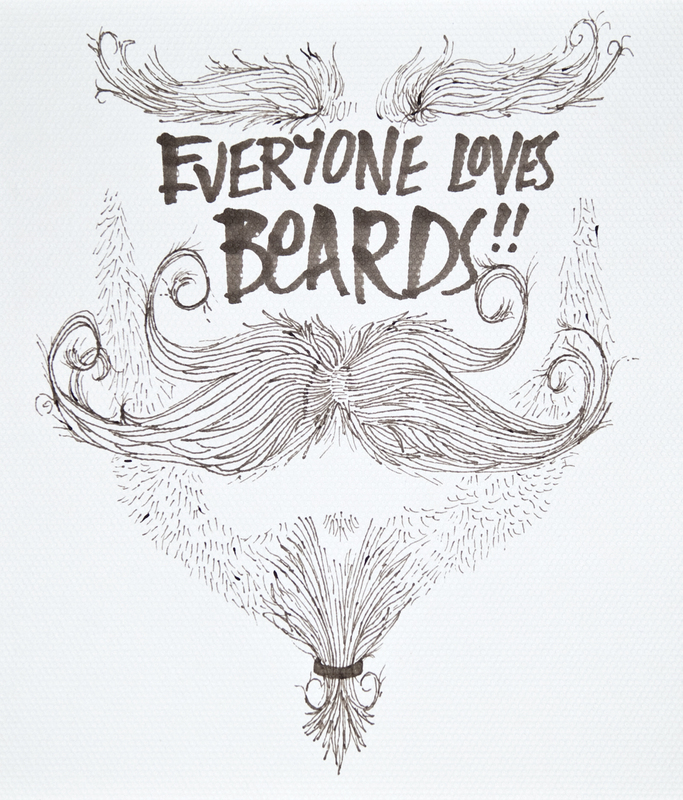 Beards come in all shapes and sizes but they are all awesome. I shaved off my beard a few days ago and am now chin deep in remorse. This illustration is probably little more ‘tasche and goatee than beard but it’s a healthy bit of facial hair all the same. And some nice eyebrow weight never goes astray. Once again, I am in a little old school phase, drawing on some nice 160gsm gouache paper with my Letraset Pantone markers.